Having waged war against Argentina, Brazil and Uruguay, Francisco Solano López’s belief that he was South America’s answer to Napoléon ended up as tattered as the replica Grande Armée uniforms borne by the remaining few Paraguayan troops. As desperation grew, children as young as nine were given fake beards and armed with sticks painted as guns as they stood against 20,000 Brazilian soldiers. The War of the Triple Alliance resulted in one of the costliest defeats ever inflicted on a modern state. Thomas Whigham, of the University of Georgia, estimates that 60 percent of the population and 90 percent of all Paraguayan men of fighting age died as a result of the war. Of the survivors, 106,254 were female, 28,746 were male, and 86,079 were children. The demographic imbalance within the war-ravaged nation stunted Paraguay’s development for decades to come; potentially one of South America’s wealthiest countries was instead gripped by poverty for the ensuing century. The lack of stability following the war created an environment where corruption thrived. The Colorado Party, the dominant force within the nation’s politics, has governed Paraguay for over seven decades (barring a brief period from 2008 to 2013). Military dictatorships have consolidated its power and the party’s troubled history has done little to reduce the influence that its ‘business-friendly’ faction has over the country. Elected as Paraguay’s new president this year, Mario Abdo Benítez is the son of the former private secretary to the nation’s most repressive dictator: Alfredo Strößner. During his 35-year-long rule, Strößner was able to maintain close ties with the US, which viewed him as a useful ally during the Cold War, even as he allowed regular human rights abuses to take place under his leadership. Known for authoritarianism, low taxes and low tariffs, Strößner famously called contraband “the price of peace”. Though he was overthrown in 1989 – dying in exile in Brazil in 2006 – Strößner’s legacy lives on. The Corruption Perceptions Index ranks Paraguay as South America’s second most corrupt nation, with the illegal economy totalling 40 percent of GDP in 2016. Gross inequality overshadows economic growth. The World Bank recently issued a report indicating that Paraguay had one of the highest levels of disparity relating to land ownership, one of many consequences from Strößner’s reign. The industries (mainly agricultural production of soybeans, beef, rice and maize) powering Paraguay’s growth are concentrated in very few hands. Despite a reduction in poverty, which dropped from 32 percent in 2011 to 22 percent in 2015, Paraguay remains one of the poorest countries in Latin America. It ranks fourth in terms of extreme poverty, after Honduras, Guatemala and Nicaragua, according to a 2016 ECLAC report. While the official unemployment rate hovers at around 19 percent, only 5.34 percent of Paraguayans are fully employed. Due to the country’s reliance on agriculture, many people work in the informal sector. “The statistics showing historically low unemployment are a farce,” Luis Rojas Villagra, an economist at the National University, told The New York Times in 2013. He estimates that as much as half of Paraguay’s workforce is unemployed or employed in jobs with degrading wages and poor working conditions. Tobacco smuggling is the most lucrative business in Paraguay, with Nickson predicting that 90 percent of Paraguayan cigarettes are unlawfully exported. The MERCOSUR trade network, established in 1991, removed tariffs and increased trade activity between Argentina, Brazil, Paraguay and Uruguay. However, extensive loopholes and contrasting policies have enabled tobacco smugglers to thrive within the region. When Brazil raised its tobacco tax in the 1990s in an attempt to reduce domestic consumption, Paraguay’s taxes remained modest in comparison. 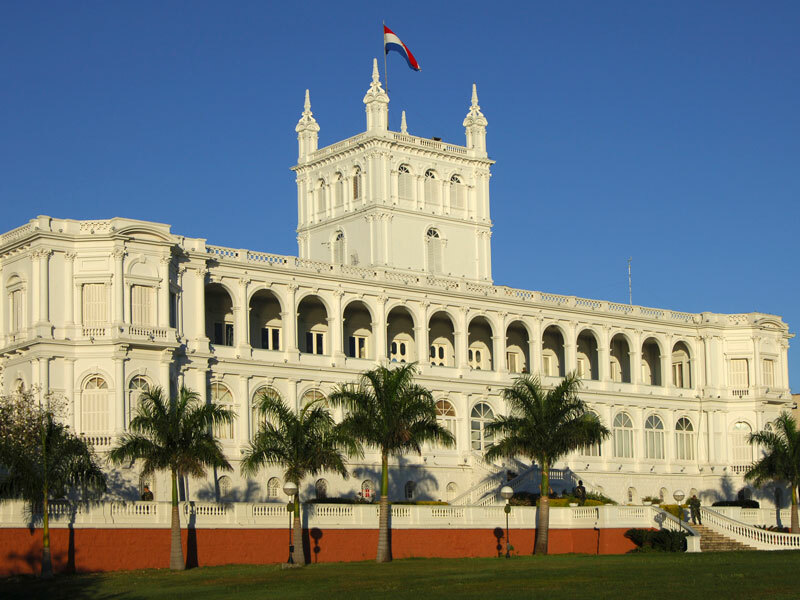 This created a situation where multinational companies located in Brazil would export cigarettes to Paraguay, to then have them smuggled back in. The presidency of Horacio Cartes, from 2013 to 2018, also demonstrates how Paraguay’s political deficiencies can encourage the country’s illegal economy. At the heart of the tobacco smuggling trade is Cartes’ own cigarette manufacturing firm, Tabacalera del Este or Tabesa. Several additional accusations have been aimed at Cartes relating to corruption, fraud, smuggling and money laundering. However, they did little to disrupt his successful presidential bid. “In Paraguay, the vote is still determined by party affiliations, much more than by the voter’s social or economic reality,” said Nicanor Duarte, a former Paraguayan president. Carved from the jungle in the 1960s – just 15km south of Tabesa’s factory – Ciudad del Este or ‘City of the East’ clings to the Triple Frontier, an intersection of the border where Argentina, Brazil and Paraguay meet. Built without a serious urban development plan, Ciudad del Este grew into a chaotic tax-free shopping haven. Successive corrupt mayors would overlook the high-rise buildings constructed without proper authorisation and the invasion of street vendors, that remain a familiar sight in the city today. The Paraná River marks a visual border between Brazil, South America’s largest country, and Paraguay, one of the continent’s smallest. The rusty Friendship Bridge, built in 1965, spans the half a kilometre gap separating the two countries and along its narrow paths, men and women lug all manner of goods between Ciudad del Este and the Brazilian city of Foz do Iguaçu. Settlers from Iran, Korea, Lebanon and Taiwan nestle among the Paraguayan population of Ciudad del Este. Within the crowded town centre, vendors exhibit a wide range of counterfeit goods. Attracted by the lower prices, the city has a thriving Brazilian customer base. While restricted to buying $300 worth of items per person per month, stores inform customers that there are courier services available “with the help of friends in the right places.” At one point, Forbes rated Ciudad del Este, Miami and Hong Kong as the world’s three largest entrepôts. Further north, the towns of Pedro Juan Caballero (Paraguay) and Ponta Porã (Brazil) interlock with one another. Dissecting the settlement, the barely distinguishable Brazil-Paraguay border separates what appears to be one city into two. “You just cross the road, and you go from one country to another, there are no border authorities there at all,” says Nickson. Located just outside of Pedro Juan Caballero, the diminutive airstrip Aeropuerto Dr Augusto Roberto Fuster is allegedly used exclusively for drug trafficking. It is estimated that hundreds of private owners smuggle 40,000 kilos of cocaine through the airport each month. Upon his election in April last year, Mario Abdo Benítez pledged to deliver a “united Paraguay.” The following month, the government announced an open-ended suspension of arms and ammunition imports in a bid to fight illegal trafficking across the border. Benítez has additionally announced his decision to sign the WHO Protocol to Eliminate Illicit Trade in Tobacco Products. In 2015 alone, the government lost an estimated $1.1bn in revenue due to untaxed goods and services. The former president – who unsuccessfully attempted to change the country’s constitution so he could remain a senator – remains an immensely influential figure within Paraguay. Cartes’ faction of the Colorado Party is strong inside both Senate and Chamber of Deputies. There is also a significant role for Brazil to play. “This whole operation isn’t just corrupt Paraguayan politicians, police and military turning a blind eye to these goods that are smuggled over the border: there is, of course, the other side of the coin,” Nickson adds, pointing at the nexus of support by corrupt politicians inside Brazil. Across the border, a substantial change in government is underway. Jair Bolsonaro has taken the reigns in Brazil after being elected on a mandate that viciously attacked crime and corruption. His protectionist ideals have drawn comparisons to Donald Trump, with Bolsonaro’s deputy, Márcio Tadeu de Lemos, even suggesting the construction of “a very high wall” along the Paraguayan border. Whether his regime will be able to crack down on corruption, however, is a different question. The trade of illicit goods cannot be blamed entirely on one country. Both Paraguay and Brazil will need to work together if they are going to tackle the issue. But as long as political corruption exists on both sides of the border, the illegal economy will continue to flourish.